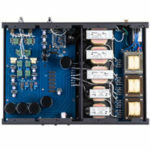 Why review a phono cartridge that has been around for nearly twenty years? Well, for two reasons. First, my two reference cartridges are the Miyabi Standard and the Benz Ebony TR, and I wanted to hear how the Miyabi/47 and Standard compared. Second, even though people mention it all the time, sometimes we forget just how good some things are even if they aren’t the newest thing out there. Now is my opportunity to listen to the Miyabi/47. It was designed for Koji Teramura of 47 Labs who is truly an analog fanatic, by Haruo Takeda the designer of the Miyabi Standard, the Krell and the Mark Levinson phono cartridges. So, let’s get started. 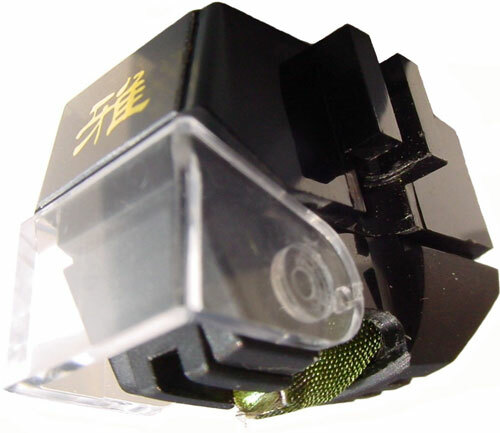 At an output of 0.3mV and an impedance of 2 ohms, the Miyabi/47 is a low output, low impedance moving coil cartridge. There seems to have been several specific design goals for the Miyabi/47. As a joint effort with Koji Teramura of 47 Labs and Miyabi designer, Haruo Takeda one of the goals was to design a cartridge that would sound great with 47 Labs electronics. Another stated design goal for the Miyabi/47 was to improve and extend the dynamic range compared to the Miyabi Standard while maintaining its excellent dynamic linearity. The materials used to construct the Miyabi/47 are similar to those used in the Standard. They both use copper coils, Alnico magnets, and a special aluminum alloy cantilever. While the materials are similar they are implemented very differently in the Miyabi/47 than in the Standard. The body material is completely different, while the Standard’s body is made of aluminum, the Miyabi/47’s body is made of polymer. Since the Miyabi/47 uses a polymer body instead of metal, wood, or stone it doesn’t have a threaded top plate. In fact, the Miyabi/47 has rectangular slots in the side of the body. Thus the cartridge ends up being bolted on to the headshell instead of being screwed into it. For some, this less convenient way of mounting may cause a little apprehension, but don’t worry, of all the cartridges that mount like this, the Miyabi/47 is the easiest to mount. Really, it didn’t take me any longer to mount than the Standard with its threaded top plate. Setting up the Miyabi/47 was about average in the amount of time it took. The only thing that took longer was setting the VTA; it seems to be quite sensitive to the VTA setting. You will also find that after 40 or 50 hours you will probably have to raise the arm, so remember to adjust everything again. The recommended tracking force is 2 grams, but unlike most cartridges I found no need to track it any heavier. Truth is, it sounded best in my system at 1.9 grams. One last thing about setting up the Miyabi/47 has to do with the stylus guard. If you leave it on the cartridge it will sound significantly warmer than if you take it off. The difference is significant. In my opinion, the stylus guard slows down the transients and negatively effects transparency. I listened both ways, but I much preferred it with the guard off, so the review is written about the cartridge sans stylus guard. My initial impression of the Miyabi/47 was twofold. First, it was fun to listen to music with the Miyabi/47 and second, it wasn’t as transparent as the Miyabi Standard, but oh how much like music it sounds! Still, after breaking it in and fine tuning it for several days the overall character of the Miyabi/47 is just slightly to the warm side compared to the Miyabi Standard. Transparency is remarkable for a cartridge with this much weight and body. It easily bettered the ZYX 4D or the Benz Ebony L in transparency, but was ever so slightly less transparent than the Miyabi Standard or the Benz Ebony TR. Not only is the Miyabi/47‘s transparency remarkable, but its timbre and tonality are near perfect. It allows you to hear deeply into the layers of different colors and hues that make music so beautiful. Instruments and voices have very nice body with plenty of natural air around them. 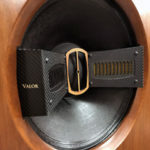 It allows them to have that indispensable quality of seeming to occupy actual space between the speakers. It’s also a very detailed cartridge in the best sense of the word, for it never sounds the least bit etched or analytical. The Miyabi/47 may be the most organic and natural sounding cartridge I have ever heard that also has this kind of detail and dynamics. This detail allows you to hear deep into the music and you are able to experience much of the emotion of live music. By the way, the Miyabi/47 provides all this detail and at the same time is very good at minimizing surface noise. It’s a little better than the Miyabi Standard, and may even surpass the Benz Ebony TR. Since one of the design goals of the cartridge was to increase dynamics, we should surely talk about the success they had. This is as dynamic a cartridge as I have heard. At least in regard to macro-dynamics, the Miyabi/47 has no peers other than maybe the London Decca Reference. It moves from very quiet passages to very, very loud passages in a way that can honestly catch you off guard sometimes. Great dynamics always increase the fun and realism of listening to music if all other things are equal. In regard to micro-dynamics, this is one of the best cartridges I have ever heard, but I have to say that I don’t find it to be quite as quick as the Miyabi Standard. I should point out that the Miyabi Standard is the best cartridge I have ever heard at playing realistic micro-dynamics. Still, the Miyabi/47 comes very, very close in micro-dynamics and is without a doubt the better of the two at macro-dynamics. With the Miyabi/47, the reproduction of musical tempo is so right-sounding and the rhythm is so, so close to real life that it really makes a musical performance come to life in your listening room. This, combined with the way the music flows is absolutely emotionally involving. The Miyabi/47 has beautiful purity of tone and it lets you hear the deeply hued colors of music in a way that is the best I have heard from my system. Those who read my reviews regularly know that audiophile soundstaging is not all that important to me. With that said, there is no question that the Miyabi/47’s width and depth of the soundstage is wider and deeper than the Miyabi Standard. Thankfully, that’s not all there is to the soundstage of Miyabi/47. It has wonderful layering of textures, beautiful space, air, and realistic scale. Imaging is just downright spectacular and palpable. Which helps draw you into the performance. The realistic sense of scale also adds to the realism that this cartridge can help your system produce. Is the Miyabi the perfect cartridge. No, but its close. Still, there are a few areas where this incredible cartridge falls short of perfection. The lower octaves of the Miyabi/47 might be ever so slightly more romantic than life, but at the same time it has such wonderful bloom and decay with cellos and upright basses that most will find this totally forgivable. It also falls a little short of perfection in that transient attacks are ever-so-gently rounded off. Yet, it is still very delicate and revealing. 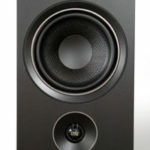 The transients in the midrange and top-end of the Miyabi/47 are less rounded off then the lower midrange and the bass. This cartridge also has that special ability to unravel layers and textures in recordings so as to let you experience more of the performance. I’ve done my best to let you know how this cartridge sounds, but I know if I was reading a review like this I would want to know which of the two Miyabi cartridges the reviewer liked best. This is a really difficult question. Let me say that I certainly wouldn’t mind owning both. So, let me share a more detailed comparison so that you might get an idea which one you might like better. The two are both very low output, low impedance cartridges. The Miyabi Standard has an output voltage of 0.2mV and an internal impedance of 2.0 ohms, while the Miyabi/47 has 0.3mV output voltage and an internal impedance of 2.0 ohms. As mentioned above, they both have alnico magnets and copper coils. This is what makes it so surprising that they sound so different from each other in certain ways. They are both incredibly organic, alive, and natural sounding. The Miyabi/47 sounds just a little bigger, bolder, more dynamic, and has a slightly warmer tonal balance. It also has better frequency extremes. The Miyabi Standard has better micro-dynamics, has quicker transients, especially on plucked strings. The Standard also has more air around and within acoustic bass instruments. The Miyabi/47 is slightly superior at not overemphasizing surface noise; while the Standard is more transparent and has a spooky realism with human voices. The hardest thing to describe is the fundamental difference in how the two Miyabi cartridges sound. The Miyabi/47 seems to get more information out of the record groove while the Standard seems to sound simpler in a way that sounds so palpable and so real. This brings us back to the question of which sounds more like real music? Well, I have to say that depends whether you value transparency or organic tonality more. These are two equally splendid phono cartridges, which one is best will depend on your personal priorities. In conclusion, I want to remind you that the Miyabi/47 has an incredible ability to find and follow the essential musical line. It really lets the music flow naturally. It also strikes an interesting balance between two types of moving coil cartridges: the romantic sounding ones and the fast, transparent ones. 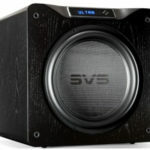 It achieves this by giving us slightly more midrange and mid-bass fullness than the fast moving coils, while still retaining remarkable transparency and speed that the very transparent moving coils have. The Miyabi/47 is one very special cartridge in the way it can somehow sound spectacular without ever being the least bit fatiguing or distracting. It is also very relaxing. I don’t mean it sounds relaxed, but that it lets you relax while you are enjoying the music. In the end, it’s really quite difficult to find any fault with the Miyabi/47. It’s much simpler to just sit back and enjoy the wonderful way it plays music. My only choice the most is your cartridge.